With an IVR (Interactive Voice Response) system, you can set up surveys, polls, appointment reminders, payments, and more for inbound or outbound uses. Customers interact using a simple keypress. IVR technology is easy-to-use with a simple drag and drops menu or XML. IVR systems allow you to connect with your customers like never before. 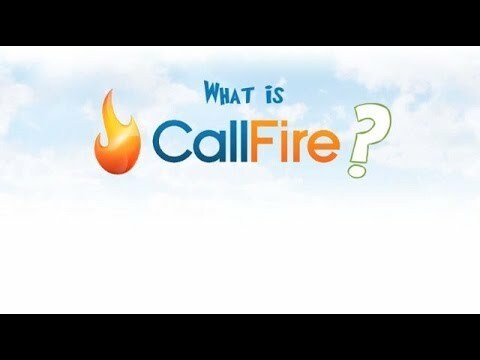 CallFire provides user-friendly, intuitive voice and text connectivity products to over 100,000 businesses. The company is dedicated to providing high-availability systems, intuitive user interfaces, furious developer support, and unparalleled customer care. Customers include small business owners, nonprofits, political groups, insurance agents, and marketers. CallFire is headquartered in Santa Monica, California, with affiliated offices in Austin, TX, and Kiev, the capital of Ukraine. Use Voice Broadcast to send important alerts, promotions, updates, and notifications to customers, employees, voters, and more. It's simple to setup and adds a personal touch to your communications. Low price, no contracts or startup fees Scalable to hundreds of thousands of calls Ability to schedule for specific times Create a simple message in just two minutes! CallFire provides the most powerful and versatile SMS text messaging platform on the market. Whether you want to send out promotions, discounts, updates or notifications - text marketing lets you reach thousands instantly. Purchase local and toll free numbers from our database to use on advertisements and track the effectiveness of each campaign. Make smarter decisions based on results and get a better understanding of what works for you. Our call tracking service will help you market your business, affordably and effectively. With an IVR (Interactive Voice Response) system, you can set up surveys, polls, appointment reminders, payments, and more for inbound or outbound uses. Customers interact using a simple keypress. Our IVR technology is easy-to-use with a simple drag and drop menu or XML. IVR systems allow you to connect with your customers like never before. CallFire powers the telephony needs of over 150,000 customers, including some of the biggest brands in the world. Supporting a vast array of telephony needs, CallFire's unique set of streamlined inbound and outbound communications tools helps businesses improve efficiencies and maintain a personable touch when managing client relationships. Follow Credits are paperless vouchers that you purchase and which facilitate the transmission of the CallFire services selected by you. The chosen route, as well as the destination of a message or broadcast, causes the amount of credits required either to increase or decrease. Rates are documented on the Pricing Page of our CallFire sites. The submission of a seemingly-valid message or broadcast will cause an associated quantity of credits to be debited from your account, and you can obtain the real-time status of your account at any time through the online interface. The ratio of dollars to credits will depend on your pricing plan. You can view the current ratio on your Plan Details page. Q. How are Calls billed? All calls are billed in sixty-second increments, from pickup to hang-up. We bill the length of the call, and not the length of the message that you are sending. This means, for example, that messages left with answering machines will last longer than calls that are answered live. The per-minute cost of the call will depend on the billing plan that you choose. In the case of the Cloud Call Center, the sixty-second rate is calculated from the time the agent logs in to the time the agent logs out. The billing has no relation to the number of calls the agent makes. For example, if an agent logs in at 2:00 PM, and logs out at 3:00 PM, the account will be billed for one hour of usage, regardless of the number of calls or connections that the agent made during that time. Q. What is the difference between total calls and total transfers? Total calls shows both legs of a call. This includes the initial call to the phone number (initial transfer), as well as the transferred call to the transfer number (received transfer). Q. Does my allowance of minutes expire?